Embedding an email sign-up form on your website is a great start in building your email list, but are you maximizing your results? Sign-up forms are simply a means to stay in contact with your potential and current customers, with the end-goal being an increase in sales and establishing a better relationship with your clientele. And, if you are asking them to give up their email address, you should offer them something in return. This can be a WIN-WIN for both parties. Here are some ideas to get you started. How about a 20% off coupon? By taking advantage of Constant Contact’s auto-responder campaigns, your customers will receive a coupon immediately after joining your email list. Everything is automated, so as a business owner, you can just sit back and watch your list grow and customers walk through your door. And, your customers will feel that they’ve received value for joining your list, too! Winning all around! How about a downloadable PDF or video with industry know-how? If you are a retail business, it could be a PDF or video with tips on using your products. For example, “10 Ways to Wear Your Infinity Scarf”. Customers will find this information valuable and may be willing to exchange their email address for this exclusive content. Sweepstakes can be cross-posted on your website & social media pages. 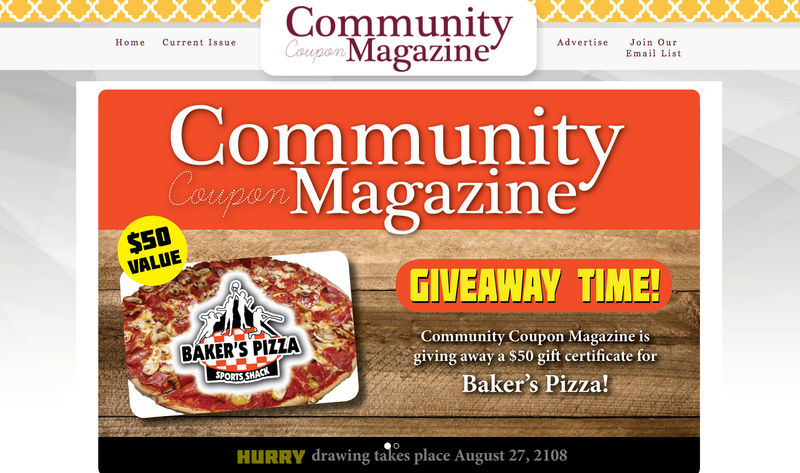 The Community Coupon Magazine experienced a 980% increase in email subscribers in a 3-year period (from 165 to 1783!) by utilizing a quarterly giveaway. The giveaway should be large enough that people get excited about it, and can be either a giveaway from your business, or something else (an area attraction, local restaurant, gas card, overnight stay at a hotel or B&B). What’s better…by promoting the giveaway on social media, Community Coupon Magazine has also grown their Facebook followers by 524% in 3-years. As of July 17, 2017 Facebook will auto-pick the image for your Social Share posts. The recent update to Facebook’s API is their effort to reduce sharing false news. Constant Contact is actively working on a solution that will enable you to customize images the way you’re used to. In the mean time, if you want a certain image to show up in the post, the likelihood that Facebook will select it is increased when you include it in your email or coupon. Other social networks, such as Twitter and LinkedIn, still allow you to customize the images in your posts the way you’re used to. While we work on a solution, when using Social Share, consider creating two posts – a post just for Facebook and a second for the other social networks. 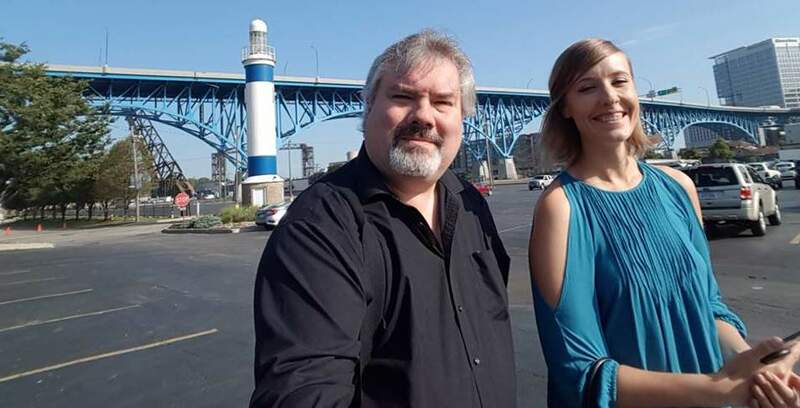 Raphael Wightman & Tiffany Hardin outside the Greater Cleveland Aquarium where they attended the Ohio Travel Association conference on Digital Advertising. On Tuesday, July 18, 2017, Tiffany Hardin and Raphael Wightman attended the Ohio Travel Association conference in Cleveland on Digital Advertising. Both employees bring special services to the table and wished to expand their knowledge on Digital Advertising as a whole, to better benefit Henley Graphics’ customers. Tiffany specializes in email marketing and social media management. Raphael specializes in search engine optimization (SEO) and website design. People in 2018 are estimated to spend 6+ hours per DAY in the digital world. This includes radio, TV & video, social networks). With us knowing this information, it becomes more and more crucial to make sure that your business is covering its touch points. How much is the average business spending on digital advertising? Our goal for social media is “viral marketing”. That means we want to focus our efforts specifically geared for channels that your customers are on. For example, your audience on SnapChat would be a different audience than Facebook (probably younger, not looking for the same information). You should cater your posts to your audience’s wants/needs. By being aware of your audience and posting relevant, timely content, you will engage your customers in the best way possible. The more we engage our audience, the more “viral” it will become, extending our organic, unpaid reach as much as possible. 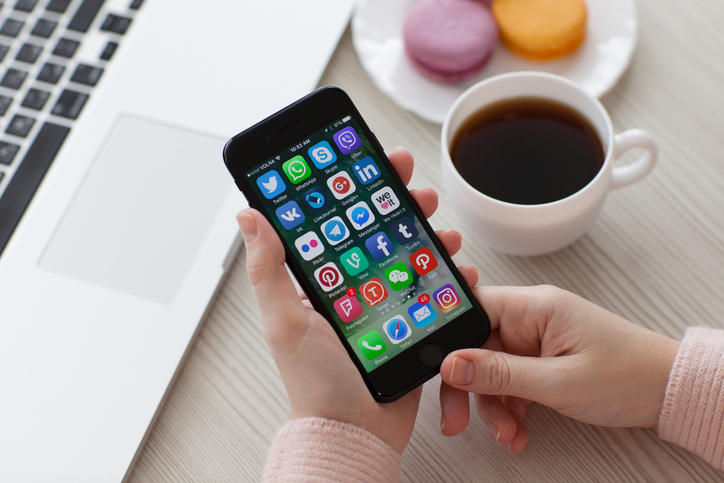 Do you REALLY need to be in every social media network? One of the best pieces of advice from the conference was this…“Do just a few things and do them well!” Focus on social sites that contain an audience that is closest to your ideal customer. And spend time planning posts with a social media calendar. Make sure that your branding and tone is consistent. The last thing you want to do is confuse people about the source of the content. A good example of bad branding would be using a meme that someone else has created that contains their logo/website. NOT a good idea. Spend some extra time and create something unique. It will be worth the extra effort and you will build up trust with your fans. 90-95% of all digital marketing is being seen on mobile devices. We need to be sure that no matter what we are promoting, it is going to look good on all platforms (desktop, table and phone). With the average attention span being only 6 seconds, it won’t take long for customers to leave if they are having trouble seeing your message (or it takes too long to load). Find out what your competition is doing, and try to mirror some hashtags that are also relevant to your business. Is video where it’s at? Yes, and no. Video is very popular today and it allows you to share an experience that is very different than a photo or text. As stated above, the average attention span online is 6 seconds. It would be best to break a large video into small, 6 second videos or stories. And it would give customers a reason to check back with you. Henley Graphics would be happy to discuss social media management, email marketing and website design and SEO with you. Please give us a call at 419-994-5488 or email Tiffany@Henley-Graphics.com . Which means your email never actually got to your intended recipient. Even worse, if your account has a high number of bounces it can have a negative impact on your delivery rate. So it makes sense to clean up those bounced email addresses when necessary. If the bounce is marked as “non-existent email address,” the email address could have a typo or the person with the address may have left the organization. There’s also a chance that the contact gave a false email address, which can be the case if you’re offering something online in exchange for an email. In this case, it’s important to review the contacts in this category and see if there are any obvious typos in the email address. If not, try to reach the contacts by other means to confirm the address. 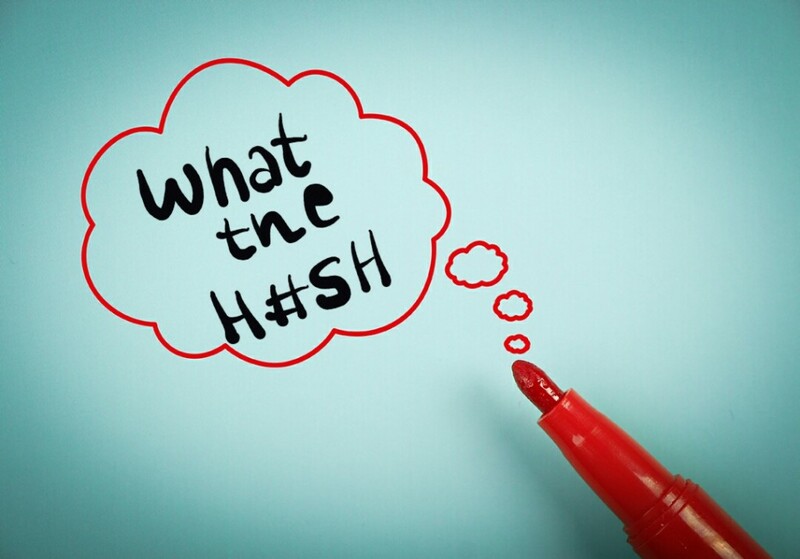 Tip: Ever have trouble reading someone’s handwriting from your email sign-up sheet? Use these tools to electronically capture their contact information instead. If bounced emails are in the “Undeliverable” category, that means that the receiving email server is temporarily unavailable, was overloaded, or couldn’t be found. A server that can’t be found could have crashed or be under maintenance, so this may just mean waiting to send the email to the address again. However, if this email address repeatedly bounces on multiple emails, it may mean the server is gone for good. If your contact has so many emails in their inbox that they can’t receive more, your emails will bounce back until there’s space for them. Sometimes, this can mean that the contact is no longer using that email address. As with a non-existent email address, you may want to follow up with the contact by phone or mail to check whether the address is valid. If someone goes on vacation or can’t check their email, your emails to them will bounce. 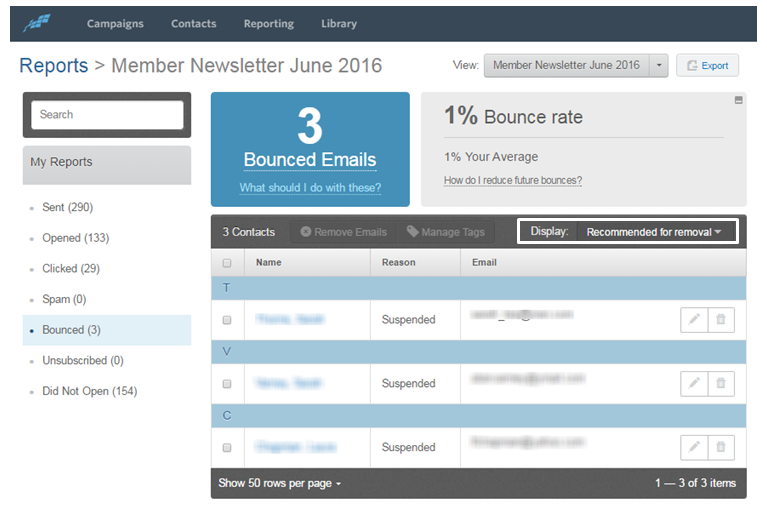 It’s important to note that, unlike with other bounce categories, this type of bounce means your email was successfully sent to the inbox. Carefully monitor how often this email address ends up in this category. If months go by and the person hasn’t returned from vacation, you may want to consider removing the contact. If the email addresses are placed within the “Blocked” category, the receiving server has blocked the incoming email. This is often the case among government institutions or schools, where servers can be stricter when it comes to receiving emails. To resolve this issue, you need to get in touch with the contact and request that their system administrators unblock Constant Contact’s IP addresses. Bounces that don’t give the server a reason for bouncing are put in this category, so it can mean that the email bounced for one of the reasons above or something else. It’s important to keep an eye on these contacts, too, to see if the bounces keep recurring. Bounces aren’t good for your email list, because of the negative impact on deliverability and the success of your email campaigns. Monitor your bounces closely. If some addresses continually bounce, it may be time to take the next steps. You’ll want to use this option according to the bounce category. Constant Contact makes it easy for you to stay on top of your email bounces. Within your email reports, you can easily display those contacts with ongoing issues in the “Recommended for removal” category. Regularly check this list and remove or update contacts with ongoing deliverability issues. Monitor your bounces, keep track of the bounced email addresses, and keep your list healthy! LOUDONVILLE (OH) — March 13, 2017 – Tiffany Hardin, graphic designer & marketing expert at Henley Graphics, Inc., has been named a Certified Solution Provider for the 2017-2018 year by Constant Contact®, Inc., part of the Endurance International Group’s (Nasdaq: EIGI) family of brands and the trusted marketing advisor to hundreds of thousands of small organizations worldwide. As a Certified Solution Provider, Tiffany Hardin has demonstrated in-depth knowledge of the Constant Contact email marketing platform and best practices. This ensures program participants and the clients they serve will realize meaningful results from their investments in email marketing. If your business spends any money on advertising, you’ve probably had to submit your logo to a graphic designer for an ad, brochure, business card…(you get the idea). You dig through your PC and FINALLY find a copy of your logo, and you send it off proudly. THERE. DONE. Regardless of the application (web, print), web & graphic designers are going to want an EPS file. What is an EPS file? If you Google this, it’s probably not going to make any sense. So we’ll bring it down a notch. An EPS file is a vector file that can be enlarged to any size without compromising quality or resolution. In other words, it is a graphic designer’s dream file. GIF, TIFF, JPEG, & PNG files are all going to be raster files, which means they aren’t going to look so great once enlarged. These file formats are best for web graphics or photos. Above, the logo on the left was a JPG file. 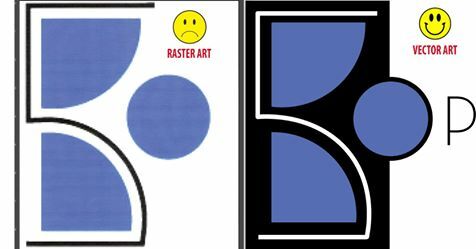 Our customer needed a vector (EPS) file to put on a billboard and the original logo could not be found. Henley Graphics to the rescue! The logo above on the right is the new vector logo, created using Adobe Illustrator. In that version, the logo has clean edges, and the pixelation is non-existent. We can help your business, too! Logo creation can be quoted. Email Tiffany@Henley-Graphics.com today. LOUDONVILLE, OH — 7/25/16– Tiffany Hardin, Graphic & Website Designer, has been named a Certified Solution Provider by Constant Contact®, Inc., the trusted marketing advisor to more than 650,000 small organizations worldwide. As a Certified Solution Provider, Tiffany Hardin has completed the Constant Contact Certification Program which provides training on Constant Contact tools, marketing best practices, and business development. This training imparts industry-leading knowhow on marketing and services to create meaningful results for program participants and the clients that they serve. When it comes to your marketing strategy for 2016, you’ll want to continue the things that have been working well for you, as well as rethink what wasn’t so successful. Savvy marketers are also anxious to see what is new and trending in the marketing world. Whether its new tools, techniques or platforms, there is something new each year, so let’s take a look and see what you might want to try in the year ahead. Mobile will become the primary way marketers engage with customers. This will affect relationship building, creating increased connections. Increased connection will lead to increased brand loyalty. It’s not about the quick sale. People are in it for the long haul, and with a large portion of engagement taking place on mobile devices, it’s more important than ever to gear content, ads, communications and more with this in mind. It’s important to change the way you think about SEO. While most people are steering clear of bad SEO practices such as keyword stuffing and low-quality backlinks, many are still not understanding how important high quality content is, and that you simply can’t rush to the top of the rankings any more. Good SEO is more than keywords. It’s showing search engines that your content is more valuable than your competitor. A fast, responsive website rich in quality written content and eye-catching graphics is a good start. Adding video is even better. If you haven’t redesigned your site in a few years, it’s probably time. It’s recommended that you redesign your website every one to two years to keep your customers happy, attract new visitors and keep it compatible with the latest technology and trends. Also, please feel free to give us a call at 419-994-5488 or email us at info@henley-graphics.com. QR codes led to sites that were not optimized for mobile viewing. Since QR codes can pretty much only be read by smartphones, this was pretty dumb. It also happened far too often that the scan led to broken or irrelevant links. Bad job, people. Bad job. Even if the pages they led to were mobile-optimized, there was so much advertising on them, with no clear call to action, that people would just immediately close the page, rendering the whole process pointless. QR codes were placed on ad spaces like trains, billboards, and television. Since trains move, billboards are generally viewed from moving cars, and TV spots last for mere seconds, there was no way anyone was actually going to be able to scan these codes, which then basically only served to uglified the ads in which they appeared. 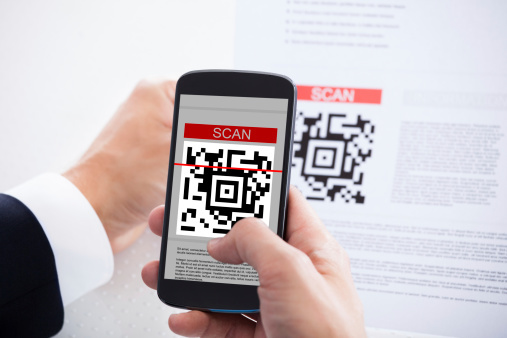 QR codes were placed in places like subway tunnels and on airplanes where there was little or no internet connectivity, so scanned codes led only to a frustrating wait for nothing. Though reception has been added to many of these spaces now, this advance, like the prettier codes, is likely too late. QR codes were placed in emails or websites. Really, folks? This can lead to only two equally asinine scenarios. Either someone is viewing the message or page on their phone, making it impossible to scan the code, since to do that they would need to use their phone or they are on their desktop or laptop and could much more easily click a link. 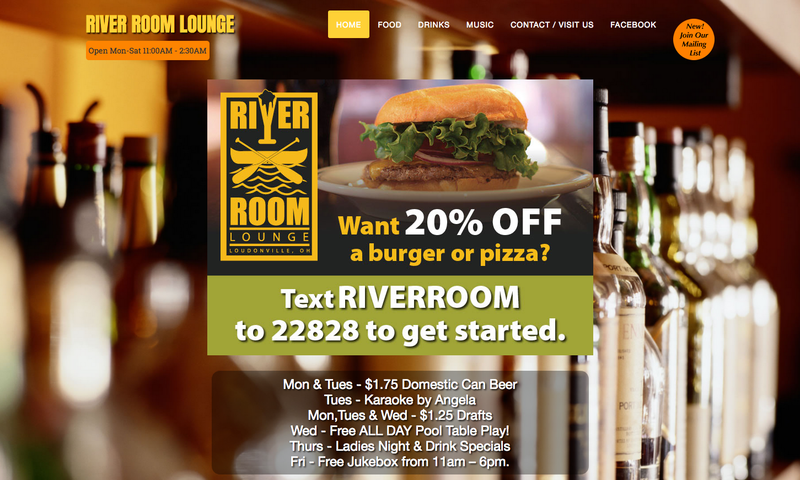 The only reason a QR code should ever appear in an email or on a web page is if it will be scanned at a point of sale as a ticket, coupon, etc. No one is ever going to use their phone to scan a QR code off their computer. That is stupid. LOUDONVILLE, OH — 8/21/15 – Tiffany Hardin of Henley Graphics, has been named a Certified Solution Provider by Constant Contact®, Inc., the trusted marketing advisor to more than 650,000 small organizations worldwide. We’re sure you’ve been seeing hashtags if you’re on social media sites at all. And we’re guessing a lot of you are clueless about what they are and how they are being used. We’re here to help clear up some of that confusion and explain how you can use them to your advantage in advertising. I like to think of hashtags as “bookmarks” on a particular subject. It is one convenient place to find multiple conversations regarding a specific subject. It allows you to clear out the noise of other posts and focus on one topic. How can I use Hashtags in my advertising? First – research! You want to make sure the hashtag you are about to use isn’t already being used by someone else. If it is…it loses its sole purpose. Once you’ve found a unique hashtag, start consistently tagging your social posts (for example #henleygraphics). By doing this on a regular basis, you may begin to encourage others to tag your business in their posts. This is a great way to get feedback from your best clients, and is also a great way to get new customers (assuming the conversations and feedback are positive). 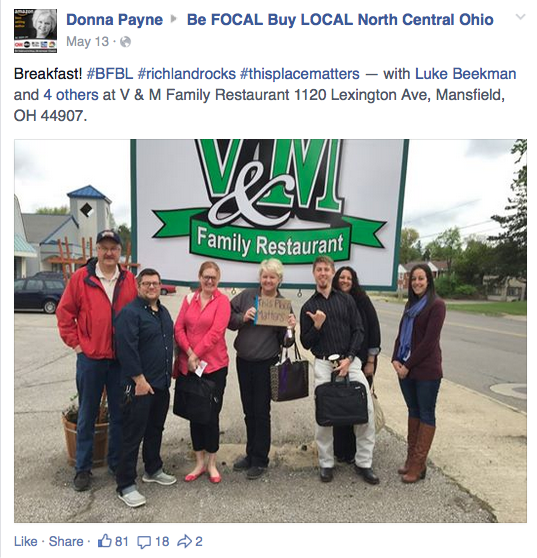 I love how the Mansfield & Richland County Convention & Visitors Bureau encouraged people in the community to take a selfie at their favorite business and use the hashtag #richlandrocks #thisplacematters . This is a perfect example of hashtags at their finest! Now that we’ve cleared up the hashtag mystery, we hope that we got your creative juices flowing. Go on…start a conversation and get people talking. And if you need some help/suggestions along the way, you know where to find it! Are you ready for Google’s Mobilegeddon? You may have heard that on April 21, 2015, Google is changing the way it ranks mobile websites. The Internet has already dubbed this change “Mobilegeddon”, even though Google has not released much information about its new mobile algorithm i.e. their formula to rank mobile web sites. What we do know is that Google will be able to render a mobile web site and rank it according to how well the mobile friendliness is because it can see what the page would look like on various phones and tablets. If you do not have a mobile web site then Google would see that and rate it as mobile unfriendly. This is what has everyone worried. Experts are guessing this could affect mobile rankings up to 70% while more moderate guesses are as high as 40%. Last year Henley Graphics switched to a “Responsive” website design model. We saw our own clients’ sites being viewed as high as 30%-50% with mobile devices. Any website we build now is automatically mobile ready. Our responsive websites are readable and user-friendly on phones, tablets or desktops. The website content is consistent as well across all devices, a very important factor in overall Search Engine visibility. Responsive website design is also Google’s recommended format. If you have a responsive website then it will be in the most favorable position for Mobilegeddon. Companies with separate mobile sites will be more affected but way ahead of businesses not having any kind of mobile experience on their site. They could be buried in the mobile rankings under bad sites with a better mobile experience. Facebook sent out a survey and asked users what they wanted to see more/less of in their news feed. Guess what? The majority of survey participants said they wanted to see MORE of what their friends are posting and LESS promotional posts. As a result, business pages are getting extremely downplayed. While your page is still free (and can still be directly visited by anyone), you will have to pay to advertise your posts to reach the same amount of people that you were reaching prior to the change. The minimum daily budget for a Facebook ad is $5/day (although we recommend $10-$20/day for maximum conversions). Due to these changes, it is even more important to use other print, web and social media to reach your clientele. Email marketing is a great way to keep communication going between you and your best customers. It is also highly affordable! For as little as $20/month you can reach up to 500 email contacts (with unlimited messages). That is the equivalent to running one Facebook ad for 4 days (at $5/day minimum cost). Print material (postcards, brochures, etc.) is NOT a thing of the past. We actually suggest backing up any special email/social campaign with some type of printed material (it’s a great 1-2 punch). Facebook advertising is also suggested if you really want to saturate your message and is fairly easy to setup. This is an ongoing conversation. We will keep you posted as things develop. If you would like any more information on any of our three solutions above or have general questions, please contact Tiffany@Henley-Graphics.com or call 419-994-5488. What is a Social Campaign? You may be asking yourself “What is a social campaign, what does it look like, and how could it help my business?” A good reason to start a social campaign may be to encourage new email signups, so that you can begin reaching out and selling your products to a broader group of people. A social campaign may also be used to increase Facebook fans. Ultimately, the goal would be to use these tactics to increase sales. We decided to make an offer for 20% off the entire website order when someone signs up for the mailing list. This would not only grow her mailing list, but hopefully grow her sales! When someone clicks on the web slider, it takes them to a campaign-specific mailing list form. This allows us to track the success of the campaign. Upon submission of the mailing list form, a campaign-specific auto-responder email is sent immediately to the email address provided with a coupon code (with a fast expiration date), as well as some eye-catching Spring Collection photos, and a call-to-action button to SHOP NOW. The same image was put on Facebook and Instagram, directing traffic to the same campaign-specific mailing list. In less than 24 hours, she’s already received 12 signups and this number is expected to grow significantly before the campaign ends. If you would like to do something similar, we can help! Email Tiffany@Henley-Graphics.com or call us at 419-994-5488. We look forward to helping your business grow!